To demonstrate the portability of what we just created, let’s upload our built Docker image and run it somewhere else (Atmosphere cloud). After all, you’ll need to learn how to push to registries when you want to deploy containers to production. So what exactly is a registry? Some example of public registries include Docker cloud, Docker hub and quay.io. 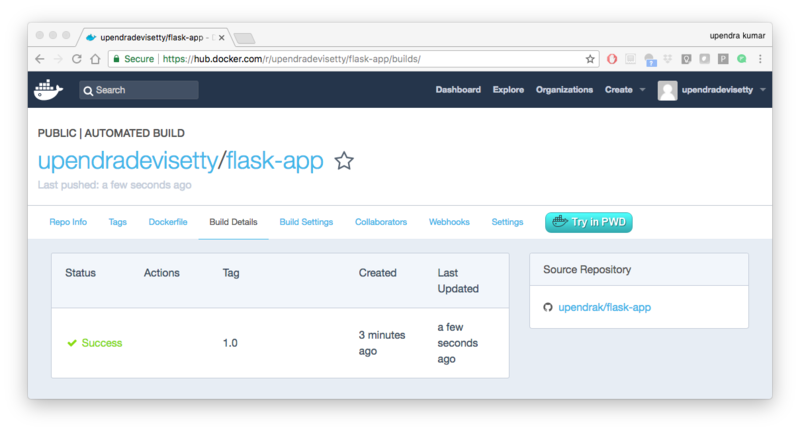 Now that you’ve created and tested your image, you can push it to Docker cloud or Docker hub. Enter Username and Password when prompted. The notation for associating a local image with a repository on a registry is username/repository:tag. The tag is optional, but recommended, since it is the mechanism that registries use to give Docker images a version. Give the repository and tag meaningful names for the context, such as get-started:part2. This will put the image in the get-started repository and tag it as part2. By default the docker image gets a latest tag if you don’t provide one. Thought convenient, it is not recommended for reproducibility purposes. Once complete, the results of this upload are publicly available. 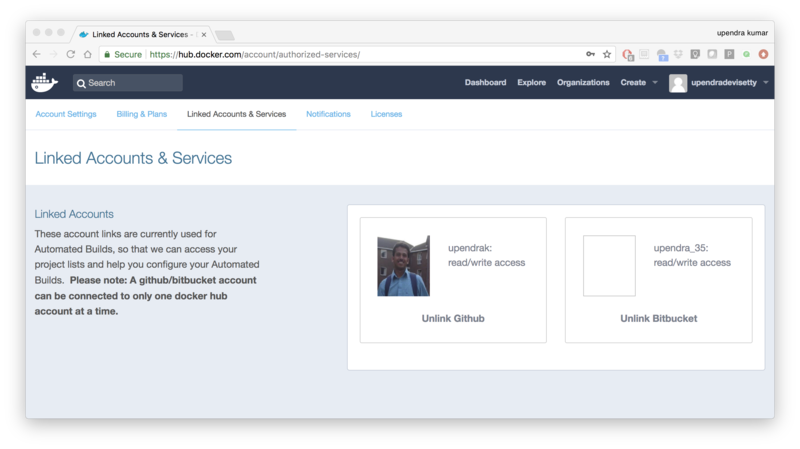 If you log in to Docker Hub, you will see the new image there, with its pull command. Congrats! You just made your first Docker image and shared it with the world! You don’t have to run docker pull since if the image isn’t available locally on the machine, Docker will pull it from the repository. Head over to http://<ipaddress>:8888 and your app should be live. 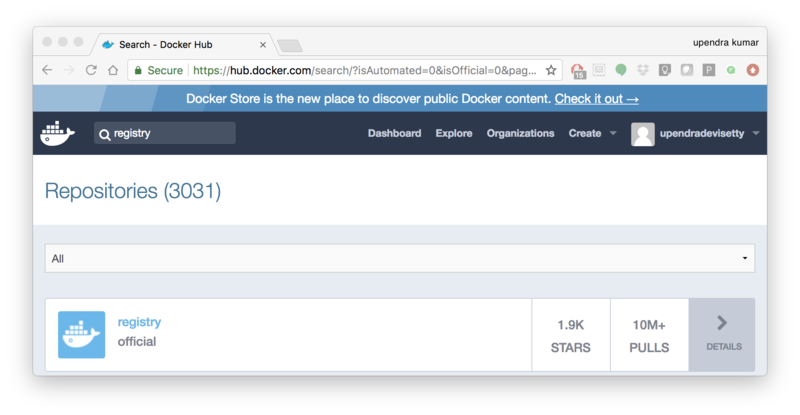 In an earlier part, we had looked at the Docker Hub, which is a public registry that is hosted by Docker. 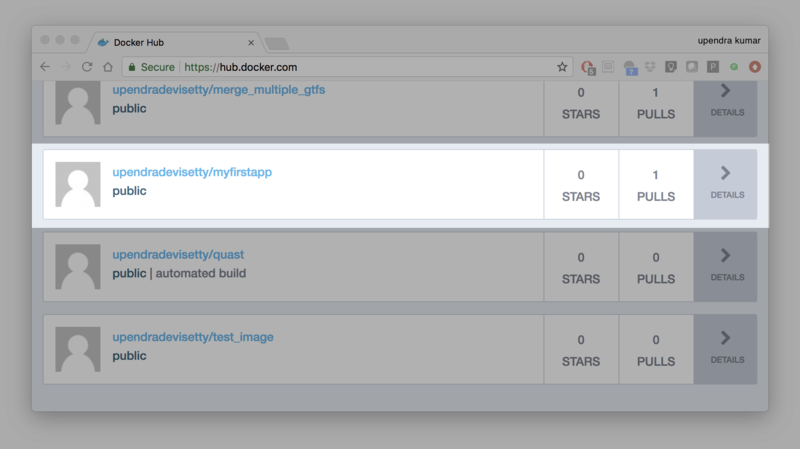 While the Dockerhub plays an important role in giving public visibility to your Docker images and for you to utilize quality Docker images put up by others, there is a clear need to setup your own private registry too for your team/organization. For example, CyVerse has it own private registry which will be used to push the Docker images. You might have guessed by now that the registry must be available as a Docker image from the Docker Hub and it should be as simple as pulling the image down and running that. You are correct! 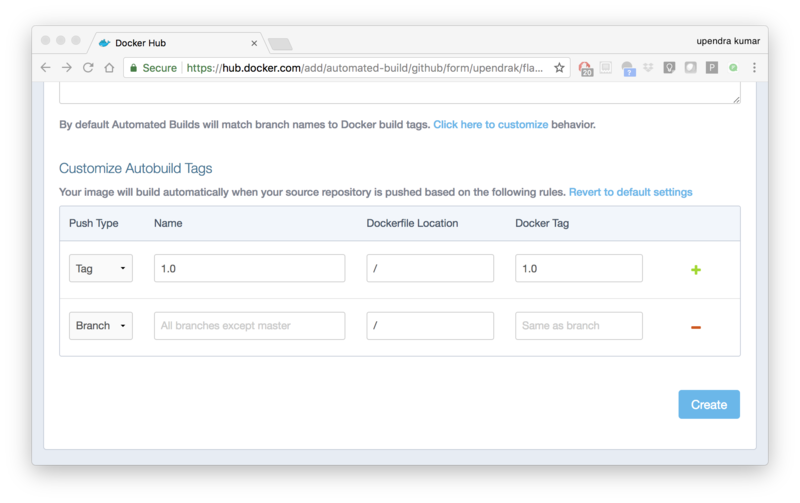 An automated build is a Docker image build that is triggered by a code change in a GitHub or Bitbucket repository. 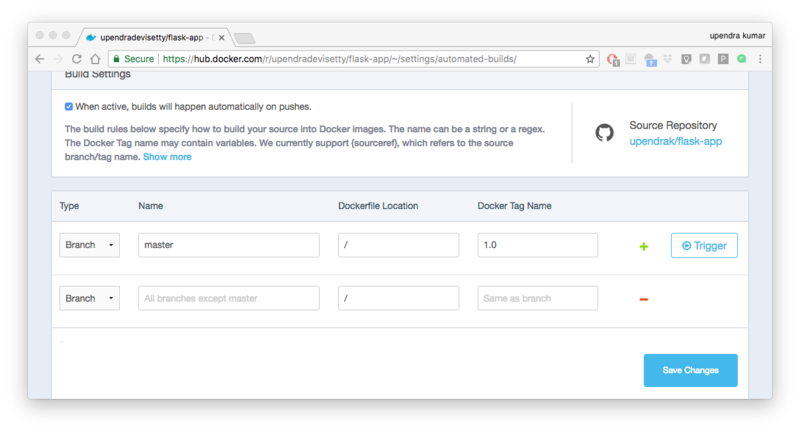 By linking a remote code repository to a Dockerhub automated build repository, you can build a new Docker image every time a code change is pushed to your code repository. A build context is a Dockerfile and any files at a specific location. 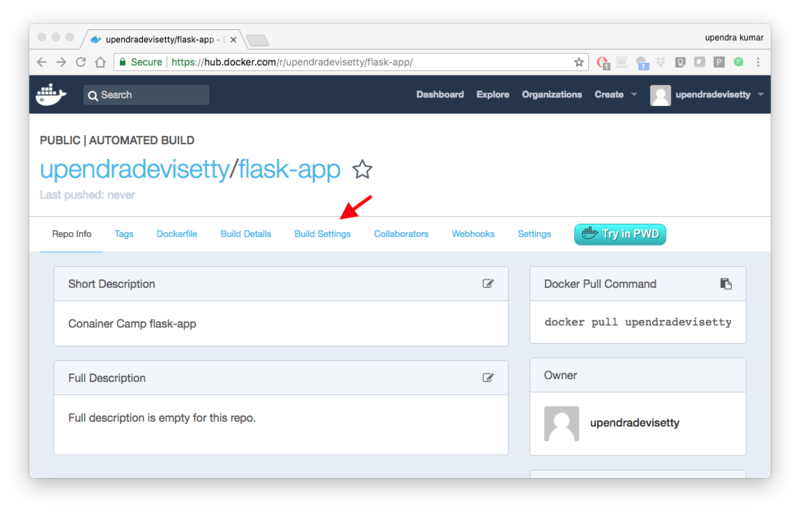 For an automated build, the build context is a repository containing a Dockerfile. If you have previously linked your Github or Bitbucket account, you must have chosen the Public and Private connection type. To view your current connection settings, log in to Docker Hub and choose Profile > Settings > Linked Accounts & Services. Building Windows containers is not supported. Navigate to Profile > Settings > Linked Accounts & Services. Click the Link GitHub. The system prompts you to choose between Public and Private and Limited Access. The Public and Private connection type is required if you want to use the Automated Builds. Press Select under Public and Private connection type. If you are not logged into GitHub, the system prompts you to enter GitHub credentials before prompting you to grant access. After you grant access to your code repository, the system returns you to Docker Hub and the link is complete. 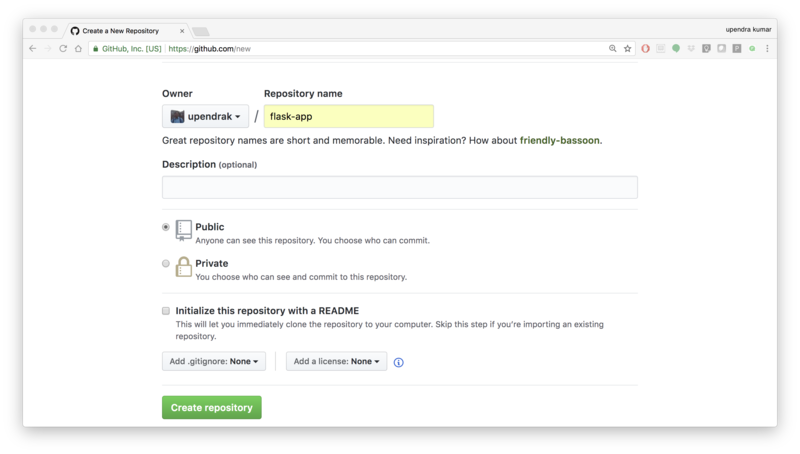 Automated build repositories rely on the integration with your github code repository to build. $ git add * && git commit -m"Add files and folders"
Writing objects: 100% (7/7), 1.44 KiB | 0 bytes/s, done. Select Create > Create Automated Build from Docker Hub. The system prompts you with a list of User/Organizations and code repositories. For now select your GitHub account from the User/Organizations list on the left. The list of repositories change. Pick the project to build. In this case flask-app. Type in “Conainer Camp flask-app” in the Short Description box. If you have a long list of repos, use the filter box above the list to restrict the list. After you select the project, the system displays the Create Automated Build dialog. The dialog assumes some defaults which you can customize. By default, Docker builds images for each branch in your repository. It assumes the Dockerfile lives at the root of your source. When it builds an image, Docker tags it with the branch name. Customize the automated build by pressing the Click here to customize behavior link. Specify which code branches or tags to build from. You can build by a code branch or by an image tag. You can enter a specific value or use a regex to select multiple values. To see examples of regex, press the Show More link on the right of the page. Enter the master (default) for the name of the branch. Leave the Dockerfile location as is. Recall the file is in the root of your code repository. Specify 1.0 for the Tag Name. It can take a few minutes for your automated build job to be created. When the system is finished, it places you in the detail page for your Automated Build repository. Before you trigger an automated build by pushing to your GitHub flask-app repo, you’ll trigger a manual build. Triggering a manual build ensures everything is working correctly. Press Trigger button and finally click Save Changes. Docker builds everything listed whenever a push is made to the code repository. If you specify a particular branch or tag, you can manually build that image by pressing the Trigger. If you use a regular expression syntax (regex) to define your build branch or tag, Docker does not give you the option to manually build. Navigate to the Build Details page. Wait until your image build is done. You may have to manually refresh the page and your build may take several minutes to complete. The data doesn’t persist when that container is no longer running, and it can be difficult to get the data out of the container if another process needs it. A container’s writable layer is tightly coupled to the host machine where the container is running. You can’t easily move the data somewhere else. 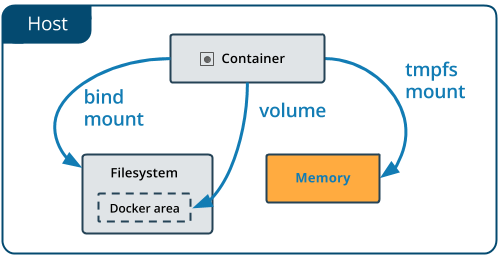 Docker offers three different ways to mount data into a container from the Docker host: volumes, bind mounts, or tmpfs volumes. When in doubt, volumes are almost always the right choice. Volumes are created and managed by Docker. 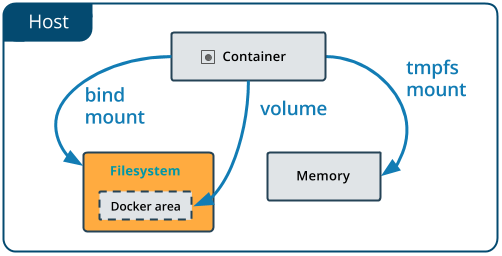 You can create a volume explicitly using the docker volume create command, or Docker can create a volume during container creation. When you create a volume, it is stored within a directory on the Docker host (/var/lib/docker/ on Linux and check for the location on mac in here https://timonweb.com/posts/getting-path-and-accessing-persistent-volumes-in-docker-for-mac/). When you mount the volume into a container, this directory is what is mounted into the container. A given volume can be mounted into multiple containers simultaneously. When no running container is using a volume, the volume is still available to Docker and is not removed automatically. You can remove unused volumes using docker volume prune command. Volumes are easier to back up or migrate than bind mounts. You can manage volumes using Docker CLI commands or the Docker API. Volumes work on both Linux and Windows containers. Volumes can be more safely shared among multiple containers. A new volume’s contents can be pre-populated by a container. If your container generates non-persistent state data, consider using a tmpfs mount to avoid storing the data anywhere permanently, and to increase the container’s performance by avoiding writing into the container’s writable layer. Originally, the -v or --volume flag was used for standalone containers and the --mount flag was used for swarm services. However, starting with Docker 17.06, you can also use --mount with standalone containers. In general, --mount is more explicit and verbose. The biggest difference is that the -v syntax combines all the options together in one field, while the --mount syntax separates them. Here is a comparison of the syntax for each flag. New users should use the --mount syntax. Experienced users may be more familiar with the -v or --volume syntax, but are encouraged to use --mount, because research has shown it to be easier to use. -v or --volume: Consists of three fields, separated by colon characters (:). The fields must be in the correct order, and the meaning of each field is not immediately obvious. - In the case of named volumes, the first field is the name of the volume, and is unique on a given host machine. - The second field is the path where the file or directory are mounted in the container. - The third field is optional, and is a comma-separated list of options, such as ro. --mount: Consists of multiple key-value pairs, separated by commas and each consisting of a <key>=<value> tuple. The --mount syntax is more verbose than -v or --volume, but the order of the keys is not significant, and the value of the flag is easier to understand. - The type of the mount, which can be bind, volume, or tmpfs. - The source of the mount. For named volumes, this is the name of the volume. For anonymous volumes, this field is omitted. May be specified as source or src. - The destination takes as its value the path where the file or directory is mounted in the container. May be specified as destination, dst, or target. - The readonly option, if present, causes the bind mount to be mounted into the container as read-only. The --mount and -v examples have the same end result. Unlike a bind mount, you can create and manage volumes outside the scope of any container. This example starts an nginx container and populates the new volume nginx-vol with the contents of the container’s /var/log/nginx directory, which is where Nginx stores its log files. You’ll get a screenful of HTML back from Nginx showing that Nginx is up and running. But more interestingly, if you look in the nginx-vol volume on the host machine and take a look at the access.log file you’ll see a log message from Nginx showing our request. This shows that the mount is a volume, it shows the correct source and destination, and that the mount is read-write. After running either of these examples, run the following commands to clean up the containers and volumes. Bind mounts: When you use a bind mount, a file or directory on the host machine is mounted into a container. If you are developing new Docker applications, consider using named volumes instead. You can’t use Docker CLI commands to directly manage bind mounts. One side effect of using bind mounts, for better or for worse, is that you can change the host filesystem via processes running in a container, including creating, modifying, or deleting important system files or directories. This is a powerful ability which can have security implications, including impacting non-Docker processes on the host system. This shows that the mount is a bind mount, it shows the correct source and target, it shows that the mount is read-write, and that the propagation is set to rprivate. For some development applications, the container needs to write into the bind mount, so changes are propagated back to the Docker host. At other times, the container only needs read access. This example modifies the one above but mounts the directory as a read-only bind mount, by adding ro to the (empty by default) list of options, after the mount point within the container. Where multiple options are present, separate them by commas. tmpfs mounts: A tmpfs mount is not persisted on disk, either on the Docker host or within a container. It can be used by a container during the lifetime of the container, to store non-persistent state or sensitive information. For instance, internally, swarm services use tmpfs mounts to mount secrets into a service’s containers. Volumes and bind mounts are mounted into the container’s filesystem by default, and their contents are stored on the host machine. There may be cases where you do not want to store a container’s data on the host machine, but you also don’t want to write the data into the container’s writable layer, for performance or security reasons, or if the data relates to non-persistent application state. 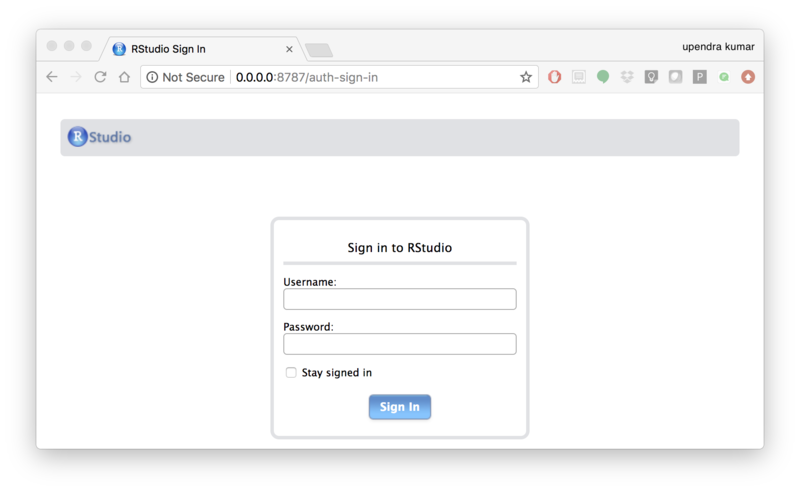 An example might be a temporary one-time password that the container’s application creates and uses as-needed. To give the container access to the data without writing it anywhere permanently, you can use a tmpfs mount, which is only stored in the host machine’s memory (or swap, if memory is low). When the container stops, the tmpfs mount is removed. If a container is committed, the tmpfs mount is not saved. You can see from the above output that the Source filed is empty which indicates that the contents are not avaible on Docker host or host file system. Docker Compose is a tool for defining and running your multi-container Docker applications. Your applications can be defined in a YAML file where all the options that you used in docker run are now defined (Reproducibility). It allows you to manage your application as a single entity rather than dealing with individual containers (Simplicity). 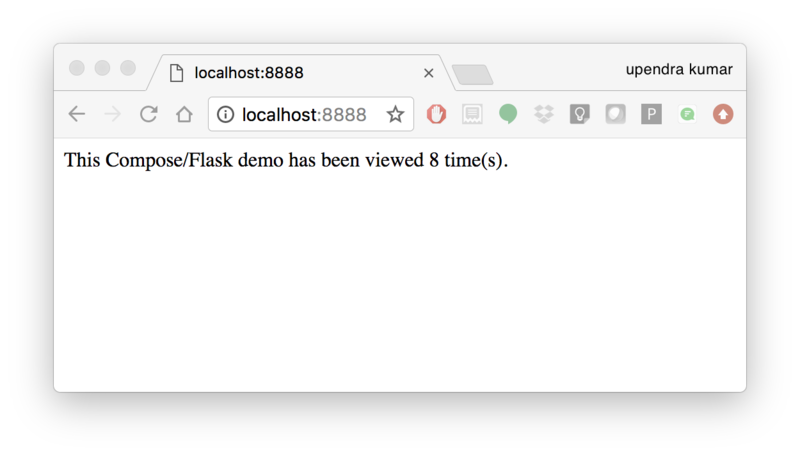 Let’s now create a simple web app with Docker Compose using Flask (which you already seen before) and Redis. We will end up with a Flask container and a Redis container all on one host. restart: always means that it will restart whenever it fails. We define two services, web and redis. The web service builds from the Dockerfile in the current directory. Forwards the container’s exposed port (5000) to port 8888 on the host. Mounts the project directory on the host to /code inside the container (allowing you to modify the code without having to rebuild the image). depends_on links the web service to the Redis service. 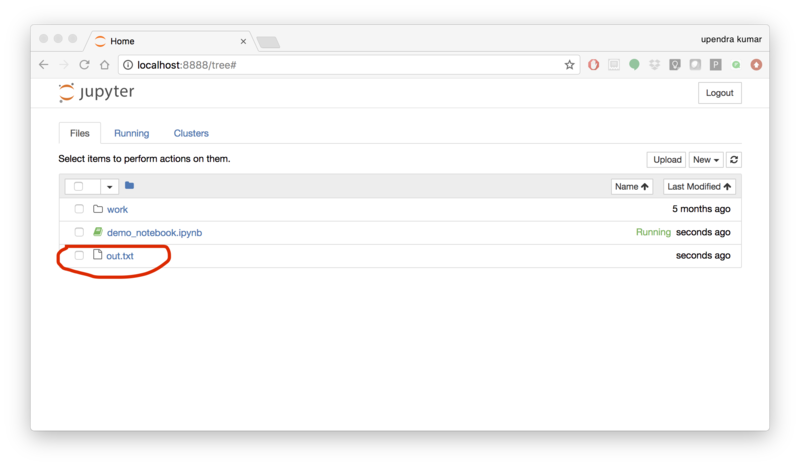 The redis service uses the latest Redis image from Docker Hub. Docker for Mac and Docker Toolbox already include Compose along with other Docker apps, so Mac users do not need to install Compose separately. Docker for Windows and Docker Toolbox already include Compose along with other Docker apps, so most Windows users do not need to install Compose separately. Refresh the app in your browser. What do you see now? For a data scientist, running a container that is already equipped with the libraries and tools needed for a particular analysis eliminates the need to spend hours debugging packages across different environments or configuring custom environments. But why Set Up a Data Science Environment in a Container? One reason is speed. We want data scientists using our platform to launch a Jupyter or RStudio session in minutes, not hours. We also want them to have that fast user experience while still working in a governed, central architecture (rather than on their local machines). Ultimately, containers solve a lot of common problems associated with doing data science work at the enterprise level. They take the pressure off of IT to produce custom environments for every analysis, standardize how data scientists work, and ensure that old code doesn’t stop running because of environment changes. To start using containers and our library of curated images to do collaborative data science work, request a demo of our platform today. Configuring a data science environment can be a pain. Dealing with inconsistent package versions, having to dive through obscure error messages, and having to wait hours for packages to compile can be frustrating. This makes it hard to get started with data science in the first place, and is a completely arbitrary barrier to entry. datascience-notebook-container | [W 08:44:31.332 NotebookApp] WARNING: The notebook server is listening on all IP addresses and not using encryption. This is not       recommended. datascience-notebook-container | [I 08:44:31.379 NotebookApp] Use Control-C to stop this server and shut down all kernels (twice to skip confirmation). Do not copy and paste the above URL in your browser as this URL is specific to my environment. Once you’ve done that you should be greeted by your very own containerised Jupyter service! 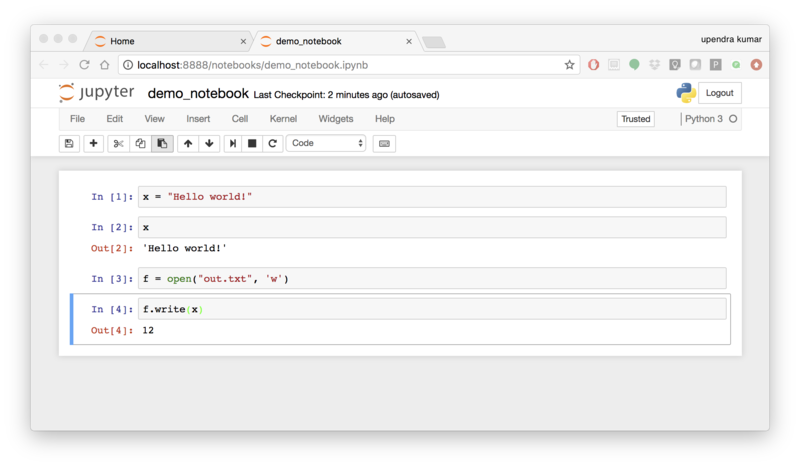 To create your first notebook, drill into the work directory and then click on the ‘New’ button on the right hand side and choose ‘Python 3’ to create a new Python 3 based Notebook. To shut down the container once you’re done working, simply hit Ctrl-C in the terminal/command prompt. Your work will all be saved on your actual machine in the path we set in our Docker compose file. 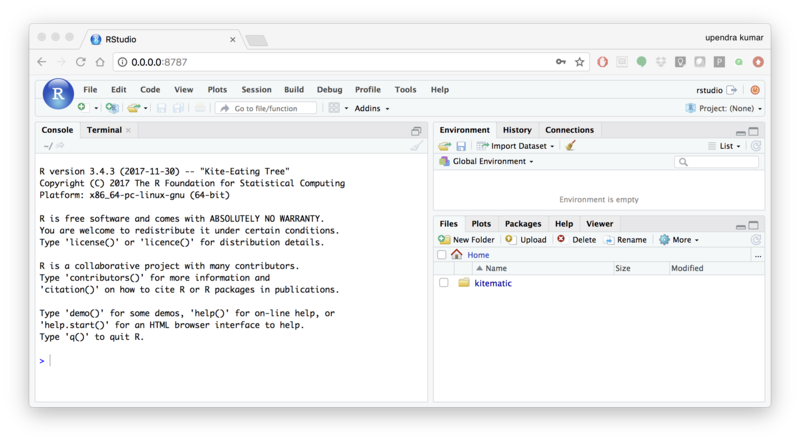 And there you have it — a quick and easy way to start using Jupyter notebooks with the magic of Docker. Next, we will see a Docker image from Rocker which will allow us to run RStudio inside the container and has many useful R packages already installed. –rm ensures that when we quit the container, the container is deleted. If we did not do this, everytime we run a container, a version of it will be saved to our local computer. This can lead to the eventual wastage of a lot of disk space until we manually remove these containers. Create requirements.txt file — Contains python modules and has nothing to do with Docker inside the folder - scikit_docker. LABEL Description "This Dockerfile is used to build a scikit-learn’s decision tree image"
Step 3/8 : LABEL Description "This Dockerfile is used to build a scikit-learn’s decision tree image"
WARNING: Image for service datasci was built because it did not already exist. To rebuild this image you must use `docker-compose build` or `docker-compose up --build`.